We want to give a big shout out to the B-F freshmen and high school football players! 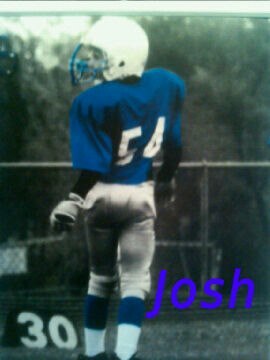 Joshua was so excited to play football in high school, he talked about it all the time! He was anxiously awaiting to be able to play in the big homecoming football game once he got in high school! It is hard to watch the game without him playing. Remember that life is precious and it can be taken in an instant. Play your hearts out, and we hope you have a great season! I’m glad to now they ALWAYS play with an angel on their shoulder…..